To view your Order history, visit the Account Management Dashboard and select the Orders menu option. This will show any Orders you have placed with us. Clicking on any individual Order will also show full details of the Order. 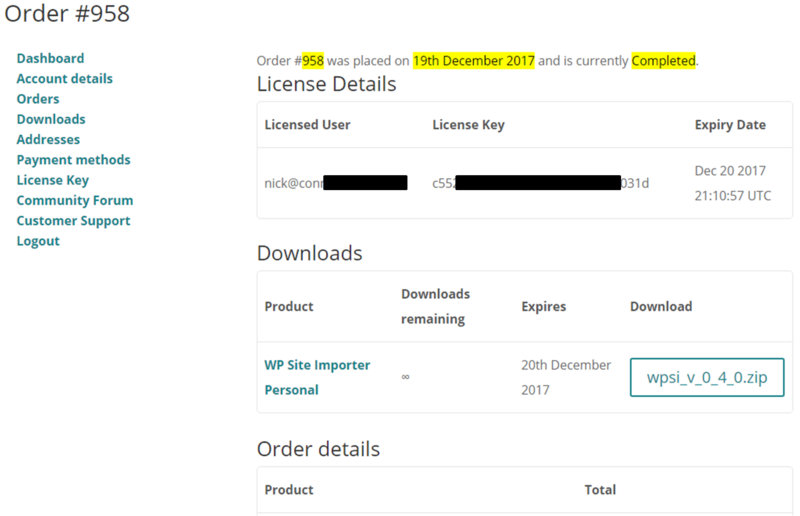 For your latest Order, it will also show details of your license key (redacted in this image).